How is it already August? Seriously. This summer has flown by and my summer bucket list is still full of items screaming to be checked off. Living in Chicago, we all know how miserable winter can be, so it’s no wonder summer always passes us by too quickly. I suppose we all need to Carpe Diem the little bit of summer we have left. YOU GUYS! I’m actually so so excited about this post. I’ve been teasing it for awhile, but I was finally able to get out to shoot with Greyhounds Only, an organization specializing in, you guessed it, Greyhounds. Before I get to the fun of these dogs, I wanted to explain this whole breed spotlight thing. 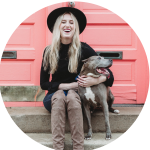 I previously wrote about some breed-specific rescues here in Chicago and was pleasantly surprised with how much positive feedback I received. I knew I wanted to be able to work with rescues that specialize in a specific type of dog and talk about all the qualities of that breed. So voila, here we are. So without further ado, I present to you, Greyhounds! My experience with this organization started when I volunteered for their “processing” day. 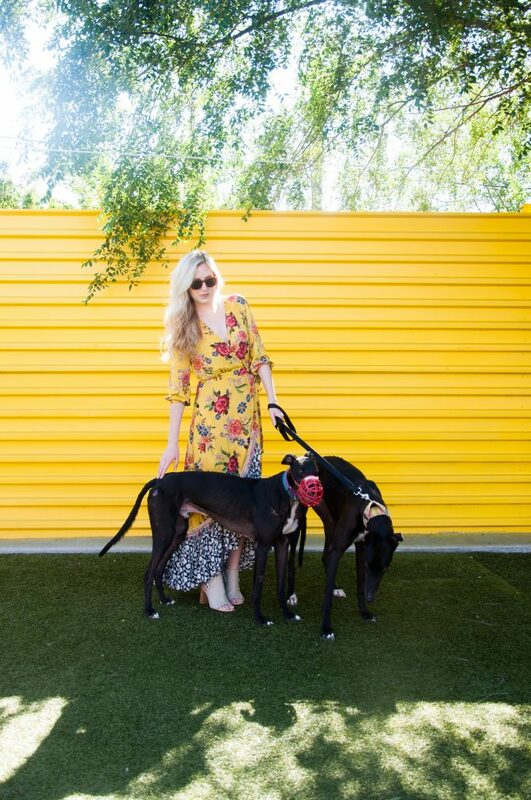 All the dogs are adopted out of Florida through the Greyhound Alliance Sunburst Project and when they arrive, they are microchipped, screened for behavioral qualities, cat tested (my favorite part!) and photographed for the website. I had never been able to be a part of this sort of process and it was by far one of the most educational days. All the volunteers were so kind and answered my 120492 questions (I may or may ask “why” about everything) and I even got to handle a Greyhound (Archie!) myself. It was one of my favorite days of summer and only the beginning of my experience with these amazing creatures. The actual shoot this past weekend was beyond fun. I was able to take one of the more confident ladies to the el tracks and get some photos of her living her best city life. 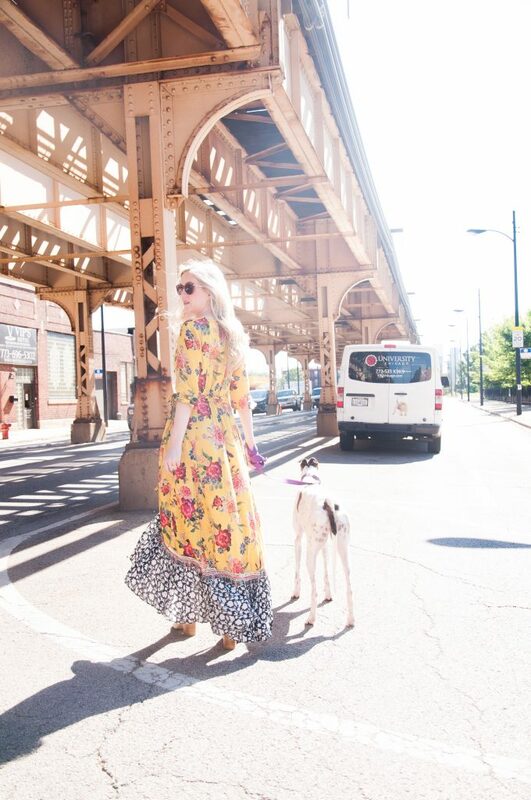 A lightbulb went off during this shoot and I realized how great these dogs are for urban living. Obviously, each greyhound is different from the next and you should know what kind of traits you are looking for when adopting. The ten characteristics below are general and can’t be applied to every single Greyhound. So while you can’t assume each Greyhound possess these qualities, you can absolutely get to know this breed based some of their standout qualities. 1. Greyhounds are quiet – Did you hear that? No, because they hardly ever make noise. When I was working with these guys, there wasn’t a single bark. Not even when it was time to say goodbye. I didn’t realize how little they barked until I realized how much the other dogs at the kennel were. 2. The 40 MPH couch potato – Most dogs crave constant stimulation and while they will certainly want your affection, Greyhounds love to chill. They sleep 16-18 hours a day and love nothing more than sprawling out with all four legs in the air. After a morning walk, they’re more than happy to lay in their favorite spot all day while you go off to bring home the bacon (for them of course). 3. 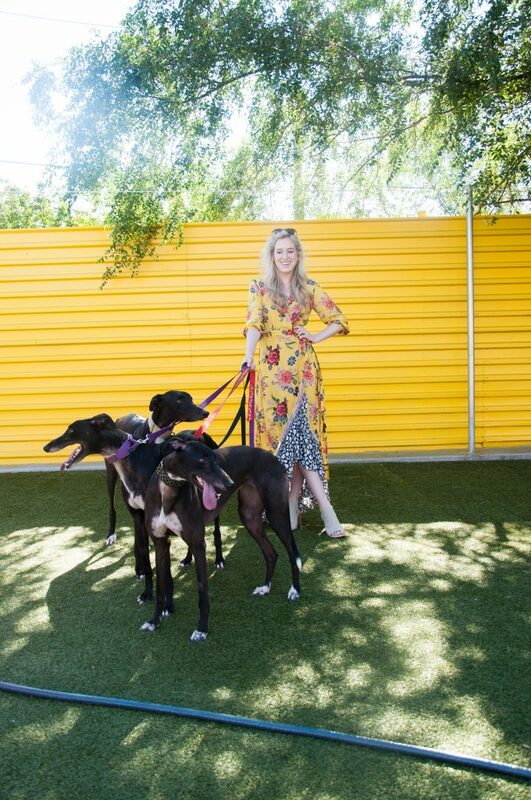 When you adopt a Greyhound, you adopt a community – One thing I learned after being around all the wonderful volunteers is how eager they are to share their Greyhound knowledge. When you rescue a hound, it comes with a family of owners that are willing to answer questions and offer advice. Their passion for the breed is truly unique and a fantastic asset to any new owner. 4. They’re low(er) maintenance – Their coat is light and short so brushing and grooming really aren’t a must for these guys. Their upkeep is minimal but of course, they do still shed, just not as much as their canine friends. 5. 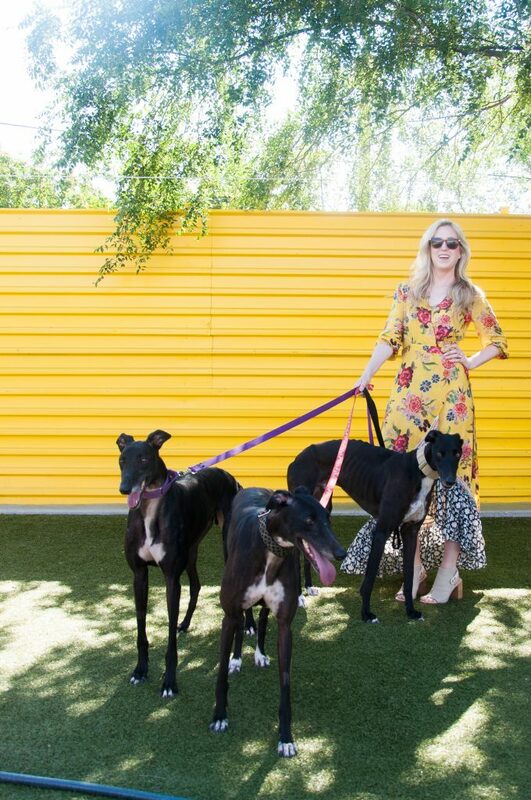 Greyhounds are incredibly adaptable – While it’s important to select a dog that matches your overall lifestyle, these dogs are happy to fit right into your daily routines. They’re not marathon runners, but they can happily go for runs or to simply hangout. In the end, they just want to please you and will adapt to your lifestyle. 6. 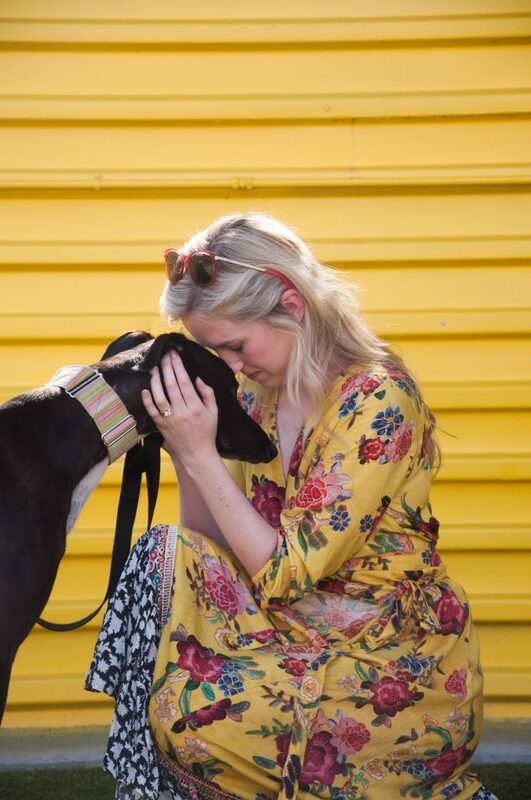 They mind their manners – When a Greyhound meets someone new for the first time, they’re usually gentle and polite. Their quiet demeanor makes them great with strangers and maybe not the best for guard dog duties! 7. They make for the perfect family pet – Before adopting a hound from this organization, families with children must attend an education night. This helps to ensure the kids are just as understanding of the breed as the parents. More often than not, greyhounds are calm and eager to learn how to be the perfect family pup. 8. 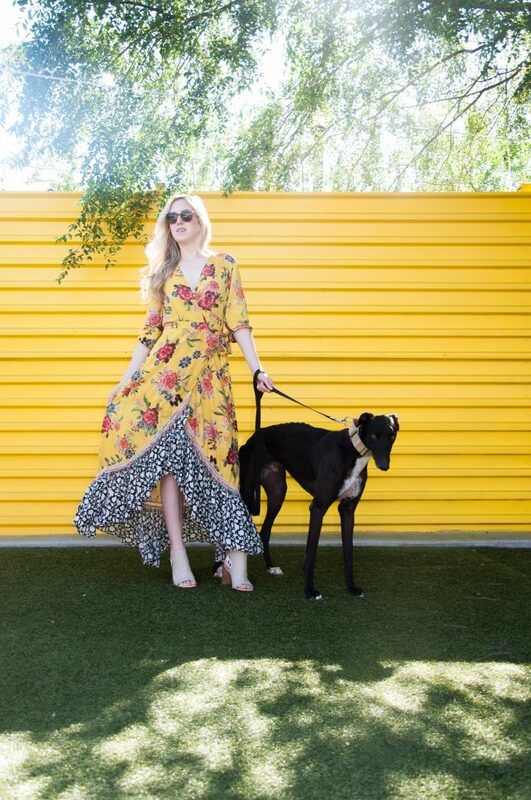 Greyhounds are made for the runway – Not only are they extremely beautiful dogs and have some gorgeous colorings, they are one of the few large breeds that actually need accessories. Winter coats and thick collars are a must for these guys so get excited to create your own Rescue Runway. 9. They make for a perfect first-time dog – When you look at all the factors that make this breed unique, it’s easy to understand why they make an excellent choice for novice dog owners. They’re overall attitude, upkeep and patience can really make them an excellent pet for a newbie. 10. They can do it all – Greyhounds really just want to be your best friend, so they’ll join you in almost any activity. Swimming, flyball or agility, they’re easily trainable and eager to please. 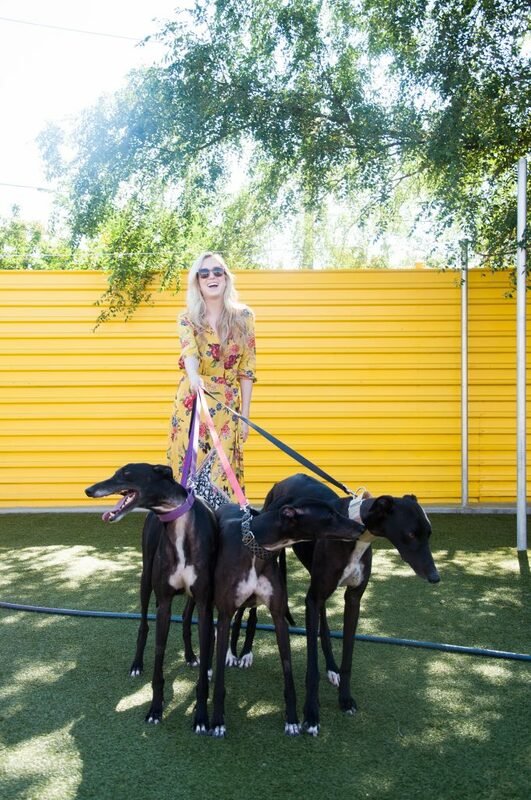 Whatever activity you want to participate in, a Greyhound is generally happy to join in on the fun. While writing this post, I actually texted my friend and told her how perfect this breed would be for her family. After spending only a couple hours with them, I really can see why people are so passionate about Greyhounds. They are absolutely fantastic dogs and I look forward to learning even more about them. 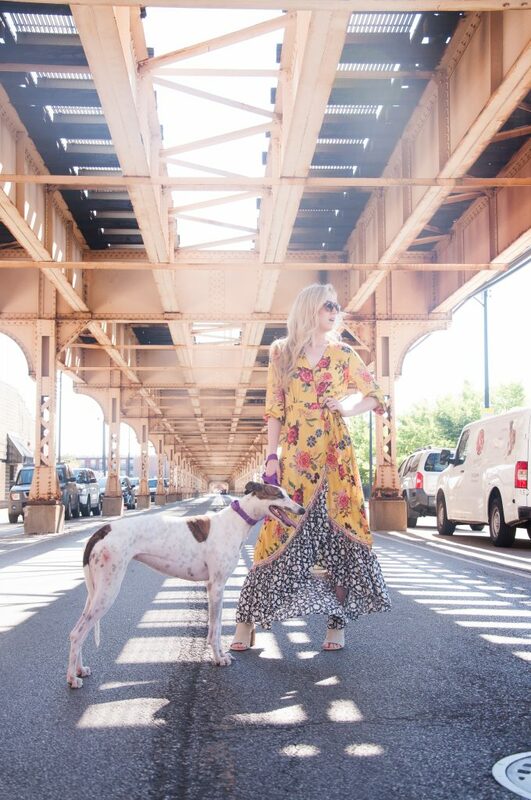 There are currently four Greyhounds in the Chicago area that are ready for adoption….I’ll do my best to give them each all the compliments they deserve. Connor: This sweet, sweet boy has been waiting for his forever home the longest. He is featured in the first couple shots and he instantly melted my heart. He was by far the largest and calmest in the group of four and would do great (sans cats!) in almost any setting. Connor also has the largest overbite I’ve ever seen on a dog and it made me love him even more. The next two pups are Hunter (purple collar) and Bella (black collar). Hunter is full of energy and super happy to hang out with whoever is willing to give him pets, including feline friends. He is sweet but might do better with older kids because he is still so active. Bella, on the other hand, is much more reserved and happy to stay behind the scenes, until you offer up treats. This sweet girl is a little more cautious of her surroundings and is working on building her confidence. She is also fine with cats and could greatly benefit from a home with another dog. Once she trusts you, she won’t leave your side. Last but definitely not least in my mind, is this amazing girl Farrah. You guys, I may or may not take her home myself. I’ve never had a dog “pick me” before and it absolutely melted my heart. She is a confident and curious lady who will gladly offer her belly for some quality belly rub time. Farrah is much smaller than the rest of the pack but what she lacks in size she most certainly makes up for in personality. I almost don’t want to give you more reason to adopt her, but here is her complete profile for further details. I couldn’t have picked a better dress for this shoot. 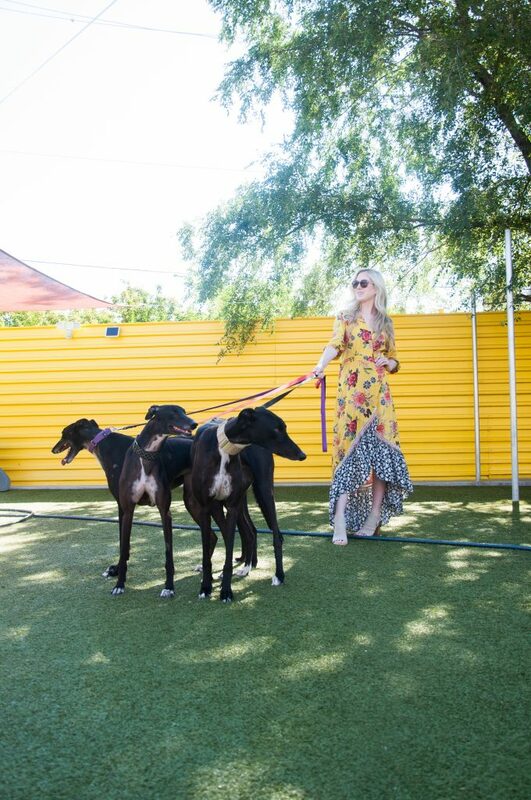 Not knowing the surroundings at K9 University (where Greyhounds Only is able to board their dogs for a generous discount) I was so glad I chose this dress. The colors in the outdoor area were bright and fun and gave this dress even more life. 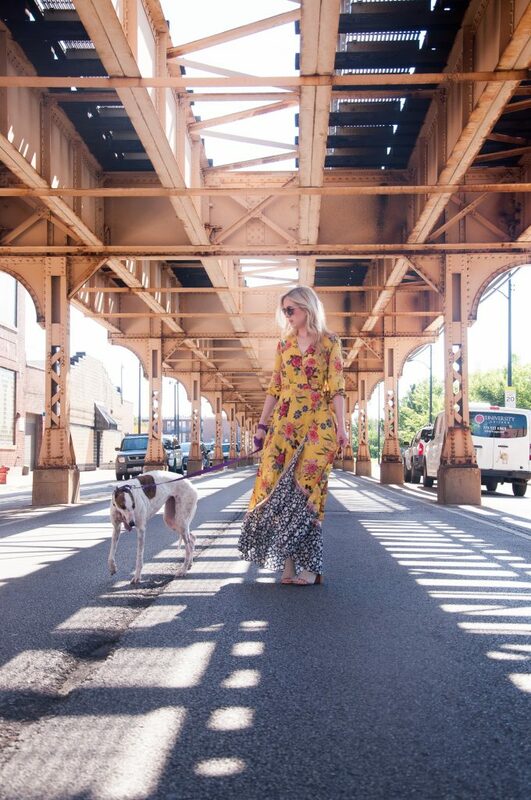 My absolute favorite shots are with Farrah under the El though. The gritty, urban backdrop of this soft, feminine dress was just too much. Add to this these awesome Fendi sunglasses that I scored at Luxury Garage Sale this past weekend and it’s a wrap. One of my most favorite shoots to date. I’ve posted my exact outfit and a similar more affordable outfit below, the dress runs slightly large so consider ordering a size down. kibbles and bits of everything. perks of a (dog-friendly) third space.